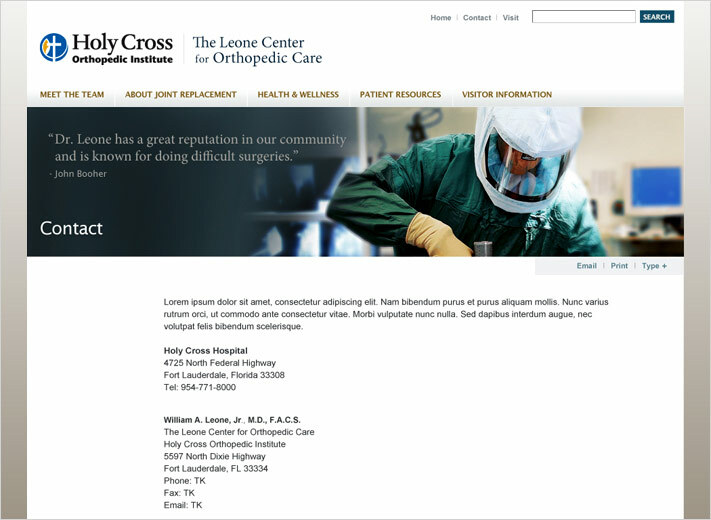 Holy Cross Hospital, a full-service, non-profit hospital in Fort Lauderdale, Florida, wanted to launch a concierge orthopedic practice, The Leone Center for Orthopedic Care. 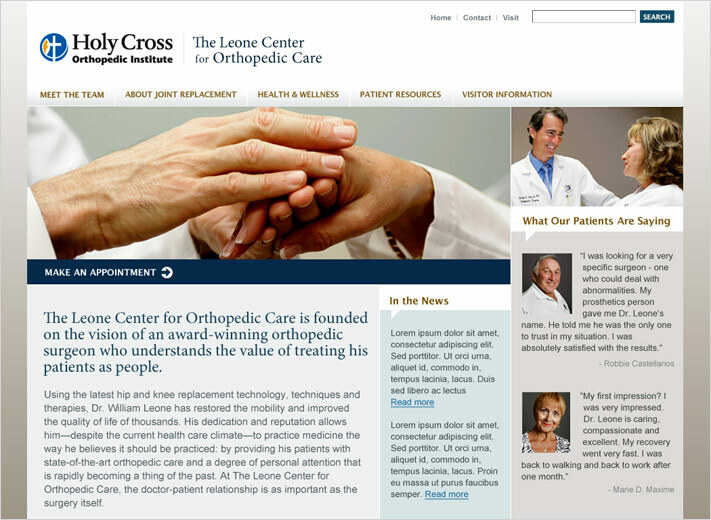 Holy Cross hired Cabengo to design a word mark, website, editorial content, and print collateral for the new initiative. 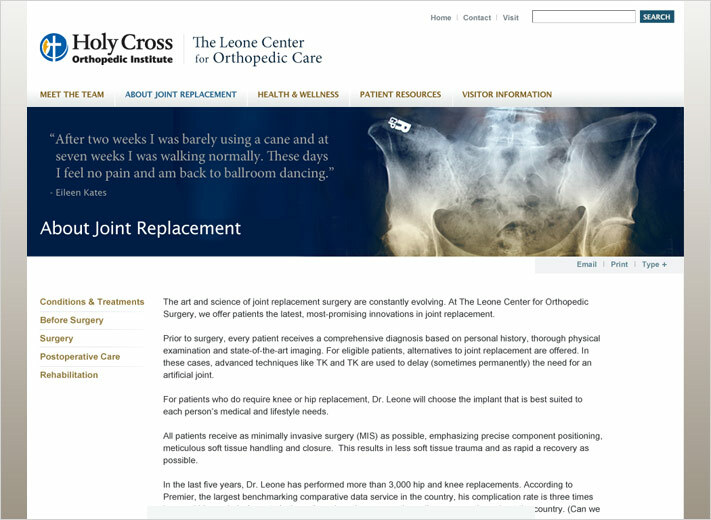 The hospital wanted to position The Center as a state-of-the-art orthopedic care facility that offered highly personalized, end-to-end services. 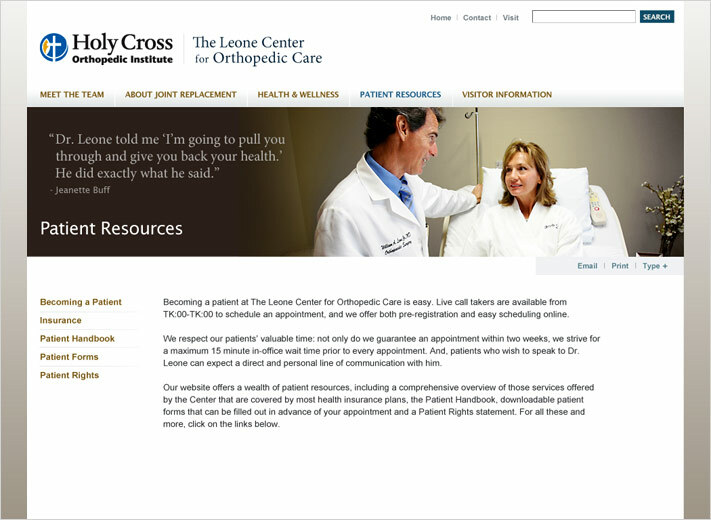 Since the practice was opting out of Medicare, the site needed to express the value-added proposition of personal care. 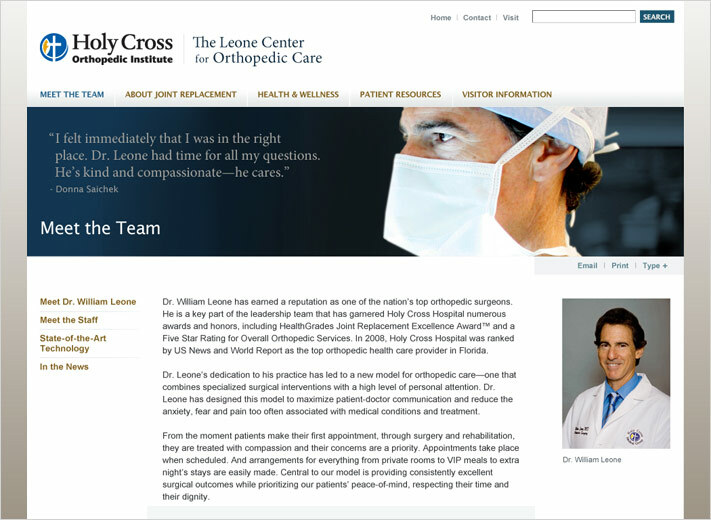 To address this need, we created a fresh and uncluttered website that conveys the warmth, dignity, and professionalism of the practice.